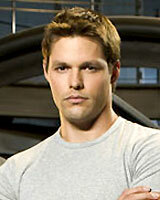 Justin Bruening stars as Mike Traceur, estranged son of Michael Knight. Originally from Nebraska he moved to San Diego. Was discovered at a local McDonald's by a modeling agent. Soon after, he began to study acting and joined the cast of "All My Children." 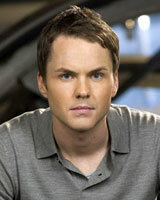 He left to relocate to Los Angeles to further his acting carrer. 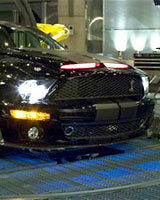 A mere two months after his arrival, he was cast in the role of Mike Traceur in "Knight Rider." Deanna Russo stars as Sarah Graiman, childhood best friend and one-time girlfriend of Mike Traceur (Justin Bruening), son of Michael Knight. Russo is best known for her role as Dr. Logan Armstrong on the "The Young and the Restless," in addition to a long list of guest-staring roles. Her talent isn't only limited to in front of the camera as she has produced a cable television and produced and directed a film that has been showin in festivals around the globe. Additionally she is involved in theatre. Two-time Golden Globe winner Bruce Davison stars as Charles Graiman, creator of the Knight Industries Three Thousand (KITT). With a career spanning near 40 years, Davison is a familiar face to many for both Film and Television with roles in "X-Men", "High Crimes", "Apt Pupil", "Lost", "Battlestar: Galactica" and "Seinfeld". Sydney Tamiia Poitier stars in NBC's two-hour movie "Knight Rider" as Carrie Ruvai, a tough FBI agent who doesn't see eye-to-eye with Mike Traceur (Justin Bruening), son of Michael Knight. Poitier, the youngest daughter of legendary actor Sidney Poitier, has most recently appeared in Quentin Tarantino's "Deathproof" portion of the "Grindhouse" double feature film. 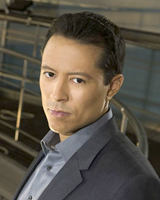 Yancey Arias stars in NBC's new drama series "Knight Rider" as Alex Torres, the Knight Research "uberboss." He dedicates his time and energy to various children's and cancer prevention charities, including his own disaster relief fund "The Lives to Save" foundation. His birthday is June 27. 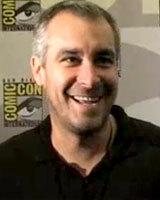 A native of Vancouver, Campbell began his career as a series regular on the SciFi Channel's "Battlestar Galactica." He recently completed lead roles in two feature films - National Lampoon's "Bag Boy" which was produced by the Farrelly Brothers, and the independent film "Play the Game" opposite Andy Griffith and Doris Roberts. Smith Cho stars in NBC's new drama series "Knight Rider" as Zoe Chae, the seemingly ditzy, but surprisingly intelligent office administrator. Cho has made incredible strides as an actor in a very short time. Perhaps best known for her comedic talent, Cho turned in humorous performances on the big screen in 2007's "Norbit" and "Blades of Glory." Formally trainned at the Juilliard School of Performing Arts, where, at age 17, was the youngest student ever admitted to the Drama department. After spending some time perfecting his skills on New York stages, he got his first film role in the comedy spoof Top Secret! in 1984. The next few years were a mix of feature films and tv specials. But it was his dead-on portrayal as doomed rock star Jim Morrison for director Oliver Stone's The Doors and Doc Holliday in Tombstone which solidified his place in Hollywood's A-list. 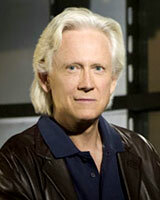 Gary Scott Thompson is the show runner and executive producer of the reinvented 1980s classic "Knight Rider." 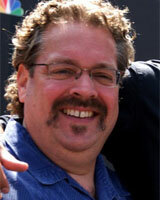 The creator and executive producer of NBC's hit series "Las Vegas," Thompson was also the writer of "The Fast and the Furious." Responsible for working with his production company to return Knight Rider to TV and being the Executive Producer of the two hour pilot in February. With Doug Liman, they formed a business partnership in 2001 with their film and television production company Hypnotic/Dutch Oven. Both served as executive producers on the hit drama series "The O.C.," and together they produced the pilot and series "Heist" for NBC.